Terry is just a funny guy. Sometimes people need to relax and recognize that not everything is meant to be racist. Terry Bradshaw became the subject of some controversy after a joke he made during Fox’s NFL studio show didn’t come out as he intended. Many wondered if that comment held an element of racism as Bush is an African-American. 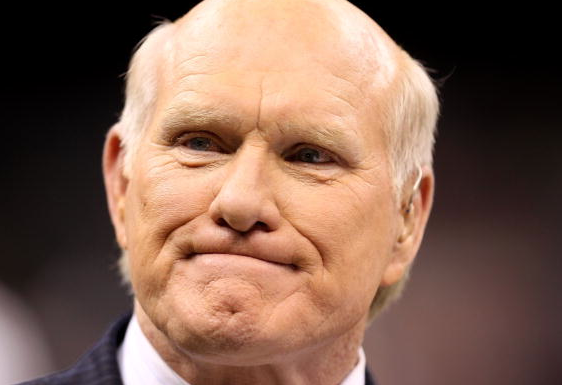 And on Monday, Bradshaw was quick to apologize, confirming that Johnson was the target of his remark. “[I’m] so sorry if I hurt anybody and I’m shocked I’m in this position,” Bradshaw told USA Today. He said he meant to say “you” (as in Johnson) instead of “he” (as in Bush) and hadn’t realized he had made the mistake until Monday morning, when Fox staffers played the tape for him. He added the comment was part of a running joke Sunday. Johnson’s “big thing is chicken, Kentucky Fried Chicken. He won’t share it with anybody,” Bradshaw said. I can understand that since viewers didn’t know the context at the moment he said it, it could have been misconstrued. But once it was explained, people need to let it go. Clearly there was nothing there.